Esri Ireland, the market leader in geographic information services, today announces that Ordnance Survey Ireland (OSi) and the Central Statistics Office (CSO) have launched a new website on its ArcGIS Open Data digital mapping platform. 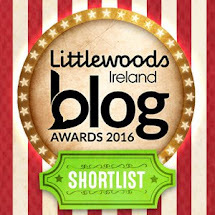 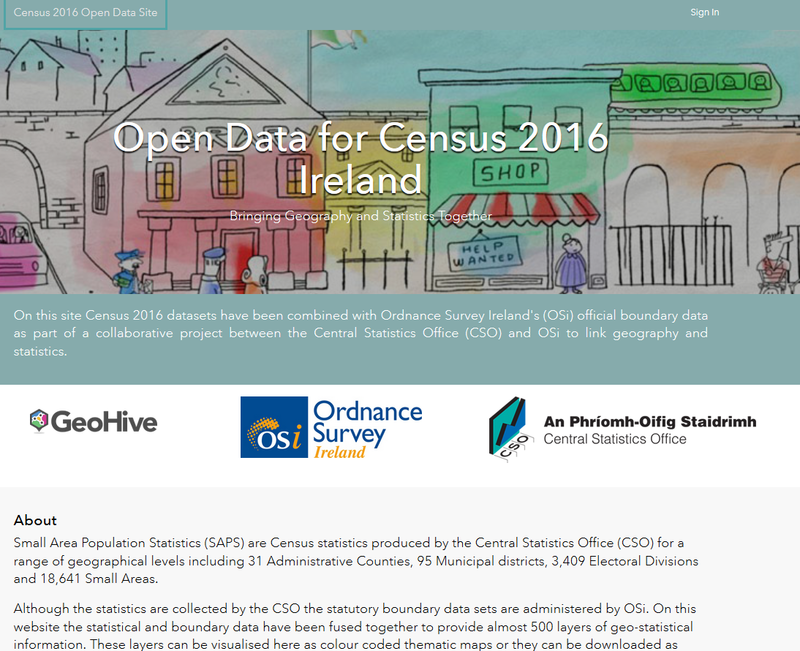 The new website, available athttp://census2016.geohive.ie/, presents data gathered during Census 2016 in a clear and legible way, and aims to make geographical and statistical information gathered during the census more accessible. It will also get this information directly to public sector decision makers and members of the public. 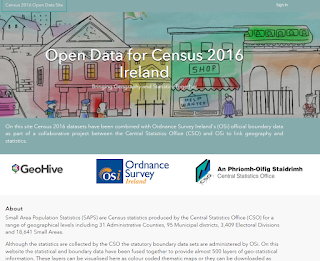 With the launch of the new website, the Census 2016 Small Area Population Statistics (SAPS) released by CSO on 20th July are available to the public for the first time.